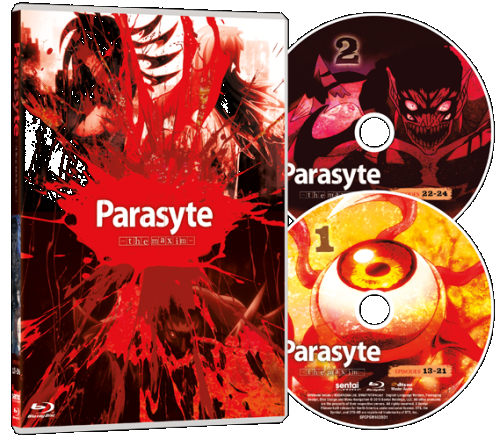 The wait is over: the intense conclusion to the hit anime Parasyte -the maxim- is finally here. The Collection 2 premium box set is packed with everything you need to survive the silent invasion, including the show’s epic soundtrack and print goodies like original manga art cards and a collector’s edition of the manga’s first volume. 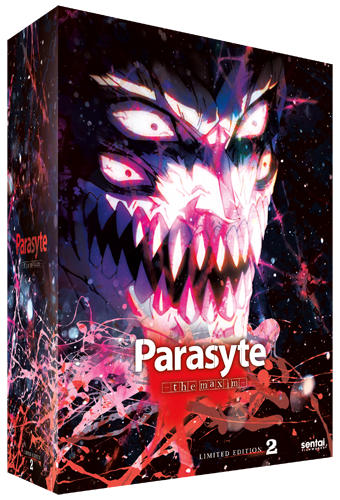 The Parasyte -the maxim- chipboard box is made of sturdy cardboard, designed to keep real-life invaders like dust, sharp edges, and other destructive elements away from the goodies inside. Like the Parasyte -the maxim- Collection One Premium Box Set, Collection 2 is splashed with haunting imagery from cover to cover. 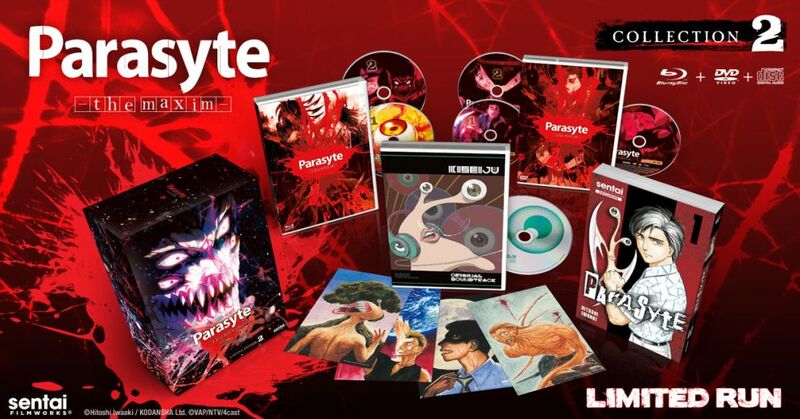 The premium box set delivers episodes 13 through 24 in a two-pack Blu-Ray collection and a 3-pack DVD collection, with each disk featuring its own gritty artwork. Experience your favorite moments in the climactic final chapter of the series in subtitled or English dubbed formats. 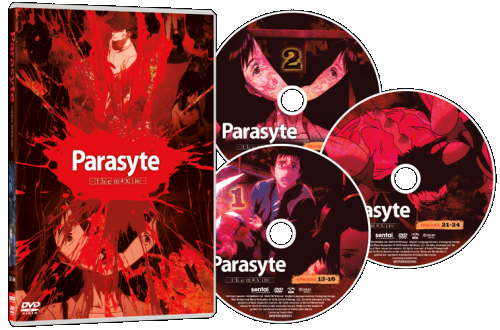 Collection 2 is packed with extras that take you deeper into the world of Parasyte -the maxim- with goodies that bridge the anime and the original 1988 manga. You guys demanded the soundtrack, and we’re glad to deliver! 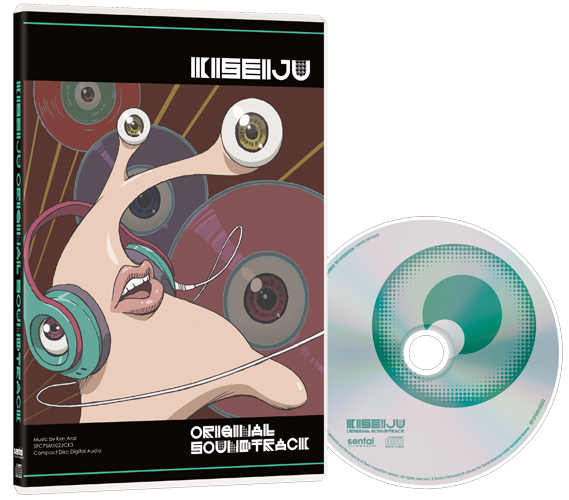 The Collection 2 premium box set is proud to include 19 tracks of some of the most epic Dubstep to be featured in anime. This one-of-a-kind publication is a limited edition variant of the original manga. It features a custom-designed cover and several pages in full-color. It’s taken over the Collection 2 premium box set only, so you WILL NOT find this publication in your local bookstore. 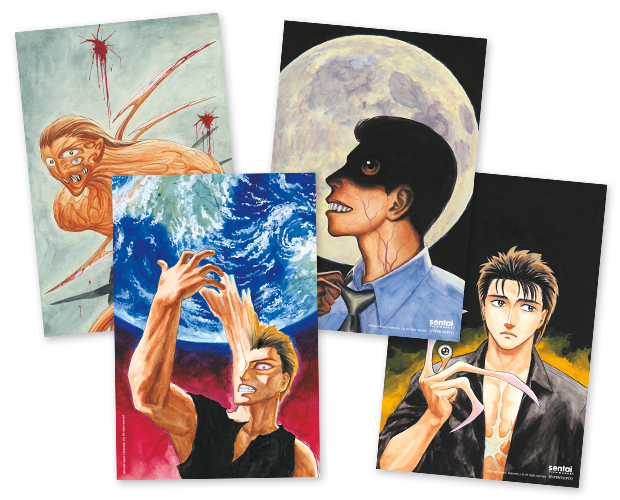 The set also includes four double-sided 4x6 art cards featuring full-color art from the manga. Each piece shows the duality of the nature of parasytes as life forms that are both uncomfortably human and frighteningly alien. Just like any Sentai Filmworks premium box set, this collection will only be available for a limited run. 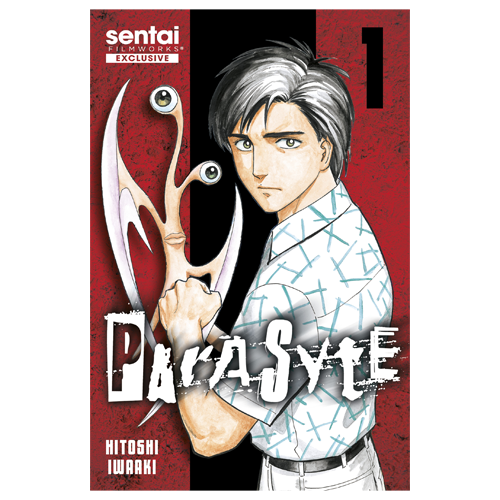 Get your hands on a copy of Parasyte -the maxim- Collection 2 before they all go into hiding!